For Coffee Fanatics, a nice cup of freshly brewed coffee is essential to actively kick-start the day. 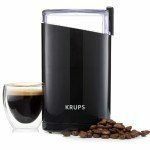 This easy guide to Coffee Brewers offers the most popular types of coffee makers. Today, most coffee lovers invest in coffee brewers rather than spending a substantial part of their income on buying the beverage from coffee shops across the street on a daily basis! 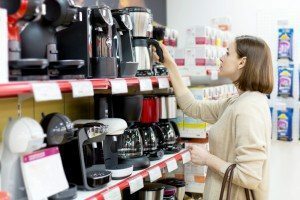 There is a wide variety of options available on the market to choose for the right coffee brewer. Ultimately, the decision depends on personal preferences and what’s in your pocket or purse. You need to understand that if you want “freshly brewed” coffee, then you will need fresh beans and know how to grind them yourself. Of course, you could also just get a coffee maker that grinds the beans for you before brewing it. You should also know where to acquire said beans and if it’ll fit in with your budget. It’s pointless purchasing a coffee machine, and then being unable to afford the coffee needed for it. You should also bare in mind that some coffee brewers come with disposable filters which will need to be replaced. Make sure you do adequate research before committing to a brewer. Here are some coffee brewers that are specifically designed to target different age groups. These are your regular coffee brewers and there is nothing fancy or superior about it. It makes you a fairly decent cup of freshly brewed coffee without causing you to make a mess or fuss about it. 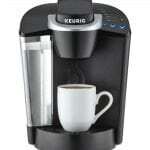 If you are someone new to coffee, this coffee maker can be your best friend. Additionally, you do not have to monitor the brewing in the morning if you are usually on the go! 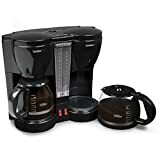 We recommend: College and university going students aged, between 18 to 28 years can opt for this coffee maker as they are more concerned with having a coffee cup in their hands rather than opting for something with deep flavor! This machine totally changed the way coffee is made at work. The quick, easy and convenient features have made it popular among offices and workplaces. However, there is nothing fancy about it and is good only if you are looking in saving some time. We recommend: Office going employees aged 30 and above, looking to get back to their desks at the earliest should opt for single serving machines for coffee! Modernity and design are two essential features that are usually associated with Chemex coffee makers. 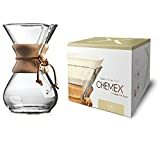 The most unique and popular feature about this kind of a coffee maker is the thick coffee filter paper used rather than standard quality ones. It does not only bring you a nice cup of freshly brewed coffee but also adds a touch of class and beauty to your kitchen. As a matter of fact, James bond prefers to use the Chemex coffee maker to quench his coffee addiction. We recommend: Women and men in their 30’s looking for a rich deep flavored cup of coffee. These are one of the oldest forms of coffee brewers that date back to the 1850’s. 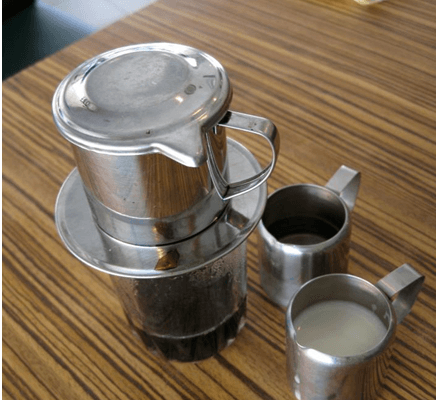 French press is simple and quick to make. They only use a very tiny portion of your kitchen counterparts to bring you a cup of coffee that suits your taste. You simply add your beans for pressing and add hot water and stir in a way that no cakey substance of your beans is left. The result should be a fine mixture of water and coffee grounds. We recommend: People in their 50’s who love their coffee and have the time to wait for a few minutes to settle the mixture in a French press! Many of us are not completely “human” before we’ve had our first cup of coffee. Having your own brewer means you won’t have to face the outside world before you’ve had your revitalizing brew. That isn’t the only plus of owning your own coffee brewer. 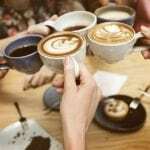 Have you ever heard of a coffee party? No? Well it’s exactly what it sounds like: a party that involves delicious coffee! 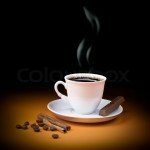 Whichever way you decide to make your coffee depends on many factors. However, to many coffee lovers, as long as it is hot and fresh, it doesn’t matter! And what about those hot summer days? Have you ever thought of adding your favourite ice cream to your brew? Yes, ice cream! It may seem strange but there are other unique ingredients you could add as well. By having your own coffee machine, you’ll be able experiment with different ingredients and flavors at will. And if you discover something amazing in your experiments? Throw a coffee party and share your delicious creation. Who knows? You may even start a new coffee trend. 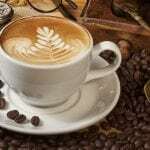 How Many Different Types of Coffee Do You Know About?